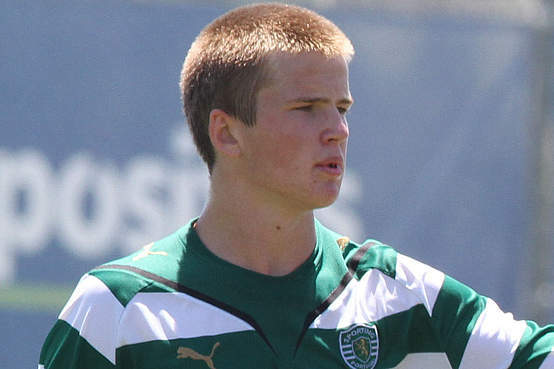 Eric Dier receives a call-up after impressive form with England U20s. Eight new faces join the England Under 21 squad that will take on Scotland on Tuesday. Roy Hodgson takes over the squad for this one game while the ongoing process to find a replacement for the departed Stuart Pearce continues. Players who potentially could make their under 21 debut include Manchester United pair Jesse Lingard and Tom Thorpe, West Brom’s Saido Berahino, Goalkeepers Jonathan Bond and George Long as well as Eric Dier, Todd Kane and John Stones of Sporting Lisbon, Chelsea and Everton respectively. Ross Barkley returns to the squad after not playing since 2011 and Sammy Ameobi of Newcastle also receives a recall. Familiar faces in Jack Butland, Thomas Ince, Luke Shaw and Connor Wickham retain their places after appearing for England at this summer’s European U21 Championship in Israel. Goalkeepers: Jonathan Bond (Watford), Jack Butland (Stoke City), Sam Johnstone (Manchester United), George Long (Sheffield United). Defenders: Eric Dier (Sporting Lisbon), Todd Kane (Blackburn Rovers, on loan from Chelsea) Michael Keane (Manchester United), Jack Robinson (Blackpool on loan from Liverpool), Luke Shaw (Southampton), John Stones (Everton), Tom Thorpe (Manchester United), Andre Wisdom (Liverpool). Midfielders: Ross Barkley (Everton), Nathaniel Chalobah (Chelsea), Tom Carroll (Tottenham Hotspur), Will Hughes (Derby County), Jesse Lingard (Manchester United), Jonjo Shelvey (Swansea City). Forwards: Sammy Ameobi (Newcastle United), Saido Berahino (West Bromwich Albion), Thomas Ince (Blackpool), Harry Kane (Tottenham Hotspur), Nathan Redmond (Norwich City), Raheem Sterling (Liverpool), Connor Wickham (Sunderland).